The question then is when did this change occur and why? We have the evidence, there indeed was a change in the title for China’s top leader, and we know exactly when. Now to answer the question: why? To fully understand this deeply political situation, you would need to read a scholarly written book such as “Deng Xiaoping and the Transformation of China” written by Ezra F. Vogel to get a full picture. The book in summary: Deng sought to completely change the course of China by opening the country up and to focus more on the economy rather than the revolution (Deng was a realist while Mao was an idealist.). The innovative leader knew that the term “chairman” was associated with Chairman Mao, and he also knew that Mao wasn’t a popular figure to the West. In turn, 主席 (zhǔxí chairman) became translated as “president” which is actually 总统 (zǒngtǒng) in Chinese. Confused yet? So am I. The new translation for 主席 literally means that Chinese linguists have ignored the fact that they are erroneously translating the word 主席 simply for propaganda purposes, thus ridding China of its negative image. 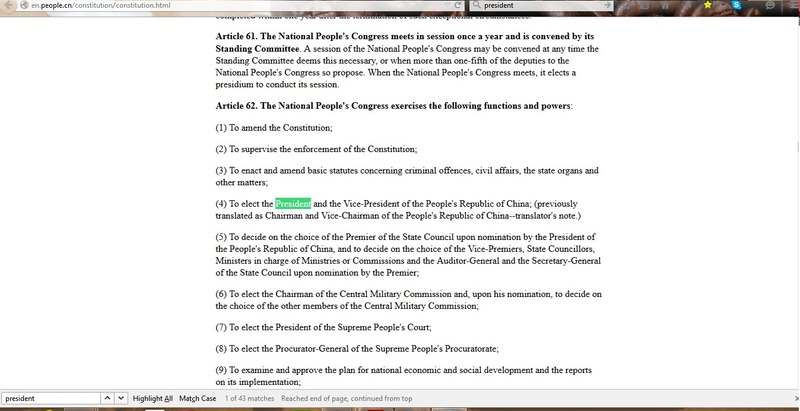 You see, President Obama is called Obama总统 in China, not Obama主席 （Chairman Obama?). This phenomenon is actually impressive. 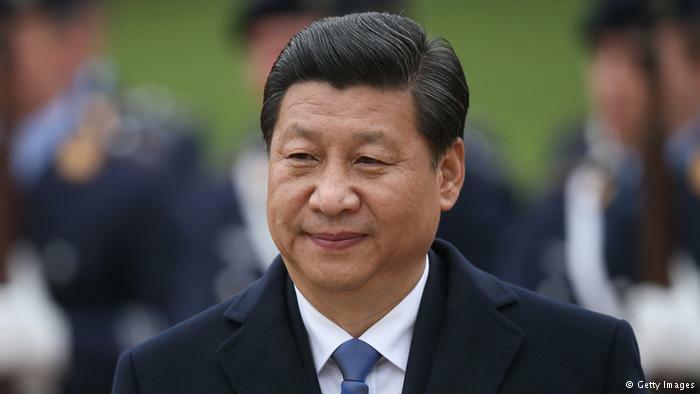 In the West, most everyone has been referring to the Chinese heads of state as “president” this whole time, which indicates success on the side of the Chinese government. This also means that because the Chinese language is dominated by the Chinese, they can freely make these political-linguistic “enhancements” freely as they choose without any check by their Western counterparts. This situation is unlike America and English because American’s cannot claims rights to the internationally utilized English language to the degree that the Chinese can with their language.